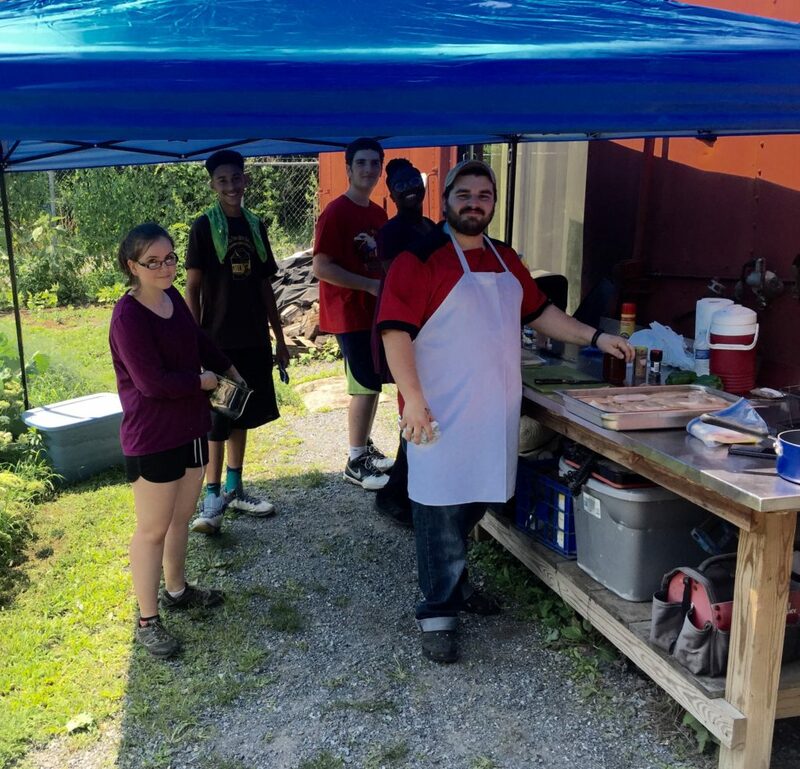 Waste Oil Recyclers and Coatesville Youth Initiative students had a special guest Chef, Alex Shimpeno from Shimpy’s BBQ, visit last Monday. 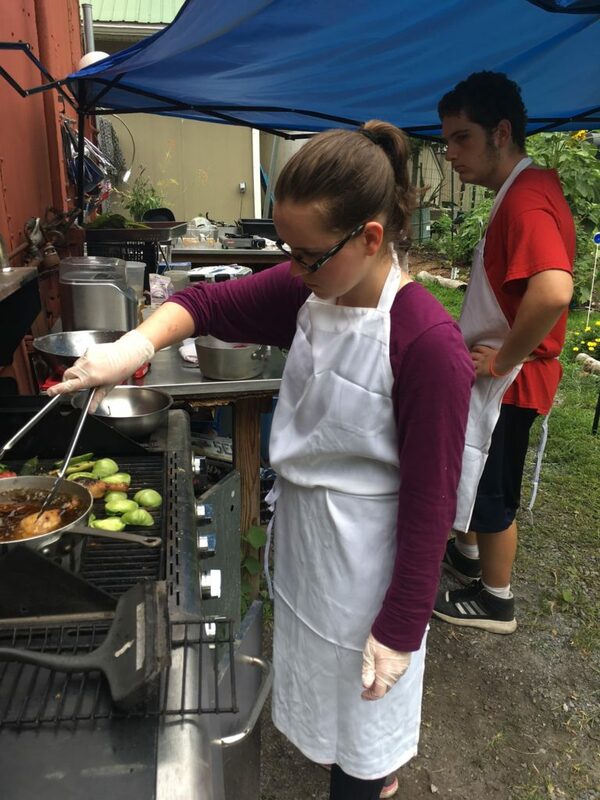 Using vegetables the students have helped to grow with our Mogreena Garden Project, Chef Alex taught the students a few new cooking tips. Below are some notes from his visit. Thanks again Chef – Everything was delicious! 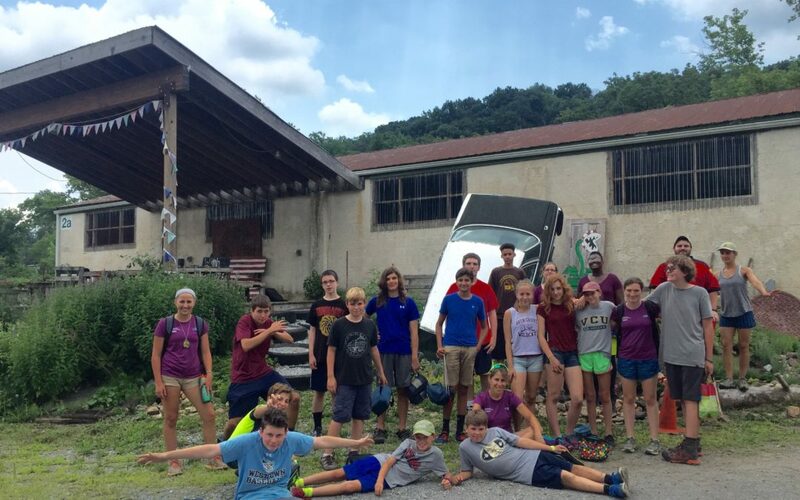 Hello, Matthew here (red shirt in the back, above pic), I work at Waste Oil through a program called the Coatesville Youth Initiative. The Coatesville Youth Initiative is a program to develop youth leadership and prepare children for the future of Coatesville. On Monday, July 17th, we had a special guest, Chef Alex cook for us. Chef Alex showed us a southern style of cooking, and I was in charge of preparing and cooking the chicken. First, I rinsed/washed the chicken and set it into a brine of a combination of salt and water. Once I took it out of the brine I added the rub which consisted of brown sugar, salt, pepper, and cayenne pepper. Then, I put the chicken on the grill occasionally flipping/checking it to see if it was ready to be taken off of the grill. Once the chicken was done, I took it off of the grill and we continued to plate it and serve it to the people who we were feeding. 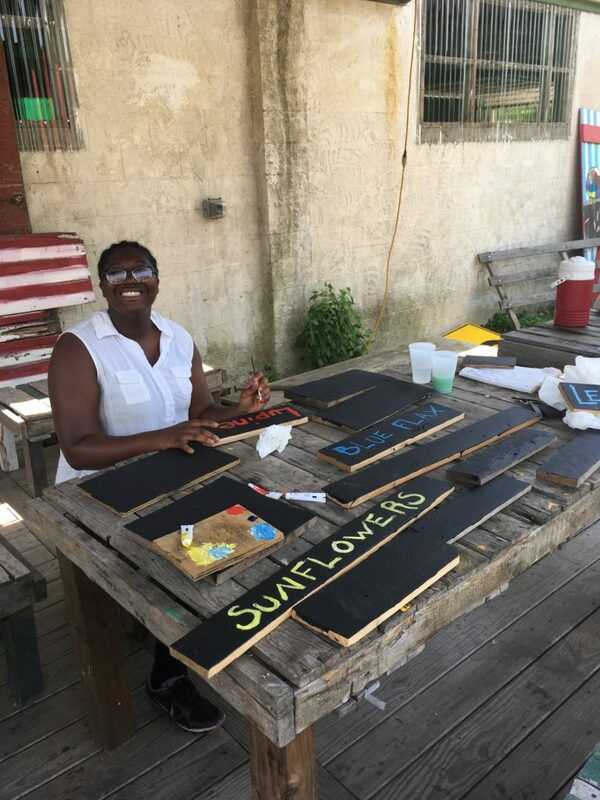 On other days at waste oil in the gardens, we often find ourselves planting vegetables, wetting our garden beds, and plants around the property. At Waste Oil we’re always busy and have more jobs to do. 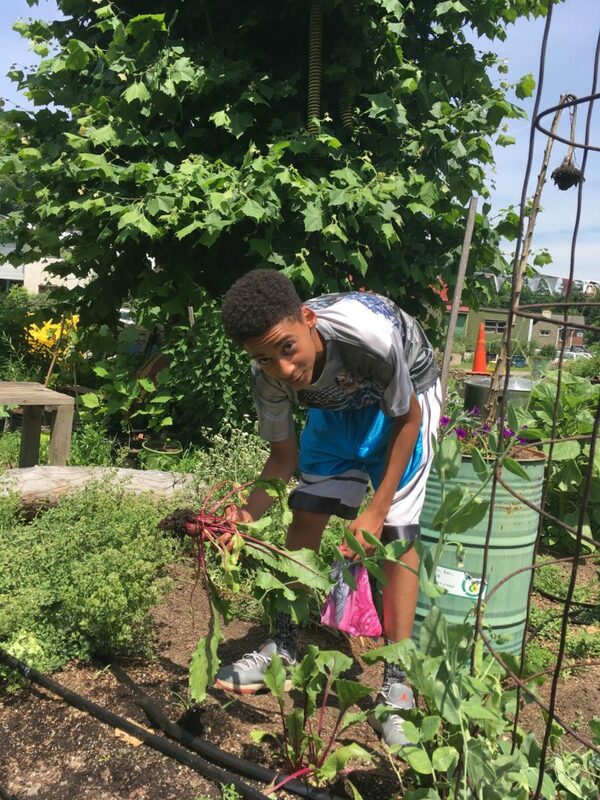 Our gardens have a large variety of vegetables including cucumbers, tomatoes, beans, peas, and much much more! Hi, my name is Nya and I work for Coatesville Youth Initiative but am employed by Waste Oil Recylers. At work we had a guest chef his name was Chef Alex the food we made was Southern themed which includes: grits, deep pit barbecuing, spicy seasonings, which all are borrowings from Southeast American Indian tribes such as: Caddo, Choctaw and Seminole. South are originally African. As you read my fellow employees blogs they will go more into depth about what we made but as I mentioned earlier we made grits, spicy barbecue chicken and kale salad with tomato and onion greens which are as you read, Southern foods. Hi, I am Derrick and I work for Waste Oil Recyclers. On July 17, we had Chef Alex show us how to make southern food and one thing we made was southern style grits. First, we caramelized onions and jalapenos. Second, we rendered the bacon to extract the fat. Third, we added chicken broth and water then we waited for it to boil. Then, we added the grits and mixed them constantly then when they were done we added cheese with the grits. That was one of the delicious things we made that day. Hi, my name is Kaitlin. I work for the Coatesville Youth Initiative who has assigned a few other members of the program and I to Waste Oil Recyclers as a work site. Waste Oil is a company that recycles used frying oil and converts it to biodiesel. Waste Oil Recyclers is doing amazing things for the environment by recycling the oil that would otherwise be thrown into a pile of waste and left there, and its a great place to invest your time. On Monday, Chef Alex came to Waste Oil and helped us prepare red chicken with cheddar, bacon, and jalapeño grits and, on the side, kale salad with roasted green tomatoes and onion greens as a relish. As my friends write everything they know about the chicken, grits, and the southern cooking style I will be writing about the kale salad (by the way you should totally check the other articles out!). Everything in the salad was organically grown and harvested ten feet away from our kitchen. All of us harvested and cleaned the kale, Nya diced the green tomatoes, and I trimmed the kale and added salt, pepper, and olive oil. After adding the condiments to the salad, I bruised it to make it easier to eat. Chef Alex took the green tomatoes off the grill, I minced them up along with the onion greens until they were a fine relish then we garnished the salad with the relish. Then we plated it and the other parts of the meal to make it look good. Personally, I’m not a fan of kale but making it completely by ourselves was very fulfilling and I can’t wait to cook some more.